‘When I loved myself enough I gave up perfectionism – that killer of joy.’ says Kim McMillen in her lovely book, When I Loved Myself Enough. Yes, aiming to be faultless and trying to do things 'perfectly' is a killer of joy. It also destroys creativity and just makes you so tired. Okay, my nature probably tends toward being a perfectionist but I am learning to accept myself as I am and be satisfied with a lower standard. Most times, for the type of things I do in my everyday life, near enough is good enough and I am less stressed when I accept that standard of myself. I also get a lot more things finished. Having said that, there certainly are occupations and situations where near enough is not good enough. I don't want a surgeon with that attitude. No, I don't want to be on a plane where the pilot has a 'she'll do' attitude toward flying and landing that aircraft. Also the mechanics building and maintaining it need to be perfectionists. However, I am not a surgeon, a pilot, plane mechanic or involved in other work that demands strict accuracy and perfectionism for the safety of lives. How does perfectionism kill joy? Joy is defined as 'a feeling of great happiness' (Macmillan English Dictionary). If you are aiming to be perfect, you won't be happy with yourself or your life. You will be critical of all you do and will fear others will also criticise you. If you are a perfectionist you will be looking around your house and garden, seeing things that aren't up to the high standard you set. To increase your level of happiness you may need to lower the bar. Enjoy the things you do and make even though they have flaws, perhaps that's their charm. 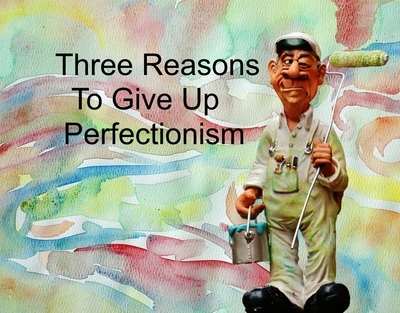 How does perfectionism destroy creativity? Creativity is defined as 'the ability to create new ideas or things using your imagination' (Macmillan English Dictionary). 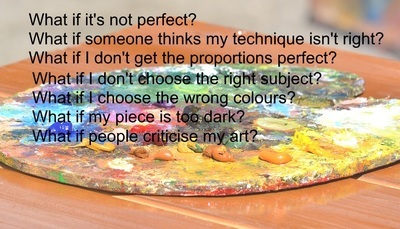 If you are a perfectionist you are likely to find it difficult to start projects which require creativity. There will be the fear that what you do, whether it be sketching, painting, sewing, writing, pottery, composing music or cooking, will have flaws and you won't be satisfied with the end product. 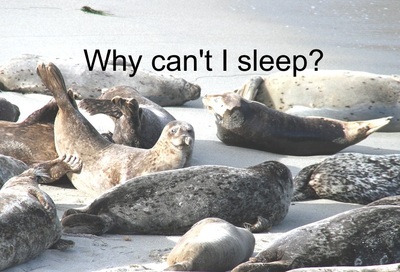 What is the connection between perfectionism and insomnia? Research has found a connection between the trait of perfectionism and sleep problems. There is some disagreement of the details about how it works, whether perfectionists are more likely to have insomnia or whether perfectionists tend to be more anxious and the anxiety leads to insomnia. However it works, statistics show a connection. It does make sense to me because if you are worrying about meeting your own unrealistic high expectations and concerned that others don't think you are good enough, you will be stressed. We have heard many times that if you are stressed and anxious this is likely to make it difficult to get a good night's sleep. So if you want to improve your chances of being happy, creative and getting a better night's sleep, forget being a perfectionist.